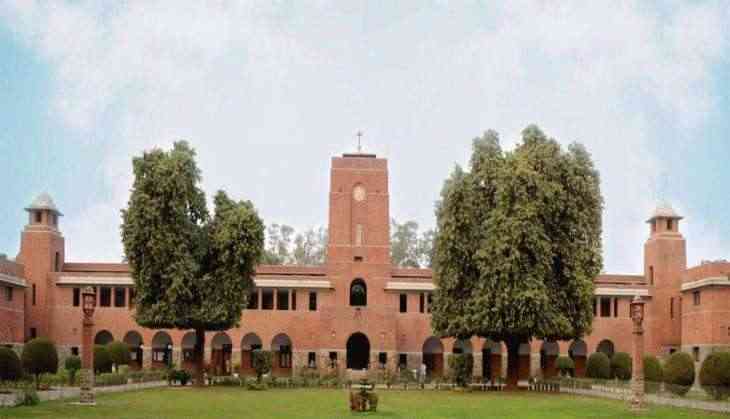 The staff association of St Stephen’s College has directly written to the Human Resource Development (HRD) Minister Prakash Javdekar on Wednesday stating concern over the meeting that was convened on 22 May between the minister and the representatives of St. Stephen’s College and Hindu College over granting of autonomy for some colleges affiliated with the Delhi University. The meeting on Wednesday was attended by UGC chairman DP Singh and Delhi University Vice-Chancellor Yogesh Tyagi. The letter alleged that the Principal of St Stephen’s College chose to be secretive about this meeting, and withheld information about it from the faculty, students and non-teaching staff of the college. “This smacks of bad faith, and intensifies our concerns regarding the grant of autonomy to our college. We would like to point out that the attempts to exclude teachers have been systematic. The teachers were not consulted either before or after the GB decision to move for autonomy. Again, when the UGC Committee came to visit the College, an attempt was made by the administration to keep the main body of teachers away from the interaction. Furthermore, we would like to inform you that 46 out of 56 permanent teachers who are in Delhi have opposed autonomy on record,” the letter said. Members of the staff association have requested for a meeting with the HRD minister to discuss their concerns over granting of autonomy for St Stephen’s College and demanded that any furtherance of the autonomy schemes be suspended till the matter is rigorously debated and the performance of the autonomous colleges reviewed. So far, the management of St. Stephen’s College has sought autonomous status. According to sources, after Tuesday’s meeting the government has asked the University Grants Commission (UGC) to seek legal opinion before processing the application of St Stephen’s College for autonomy. As the law stands, no institution affiliated to Delhi University can become autonomous unless the University Act is amended. Clause (9A) of the Act states that the university can only permit its colleges to conduct “courses of study in the Faculties of Medicine, Technology, Music or Fine Arts, as autonomous colleges”. The divide between St Stephen’s College faculty over the issue of autonomy is clear. The Delhi University Teachers’ Association has thoroughly opposed autonomy for the college alleging privatization of higher education. However, according to an Indian Express report, a source within the ministry says concerns over fees hike are misplaced. The source was quoted saying, “This is a misplaced concern. Colleges can start self-financing courses even now. As for the question of unreasonable fee hike, the minister assured representatives that there will be no such thing.” The report also said that the minister also assured those present in the meeting that autonomy will not be forced on them. St Stephen’s College’s application for autonomy is slotted for discussion at the next meeting of the UGC on 24 May. 6 महीनों से कोहली और कुंबले के बीच बातचीत थी बंद!